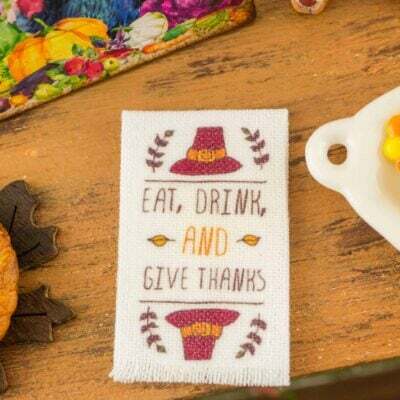 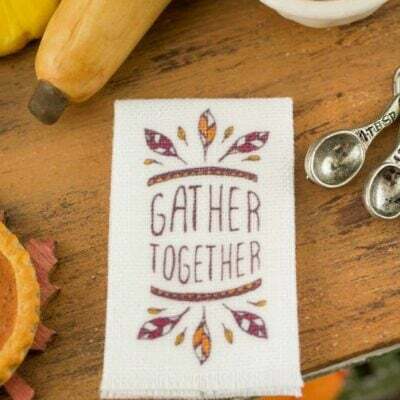 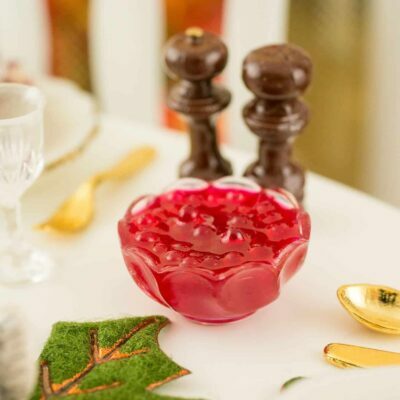 Dollhouse Miniature Thanksgiving Stuffing with Cranberries - 1:12 Dollhouse Miniature - The Petite Provisions Co.
Thanksgiving dinner just isn’t the same without stuffing! 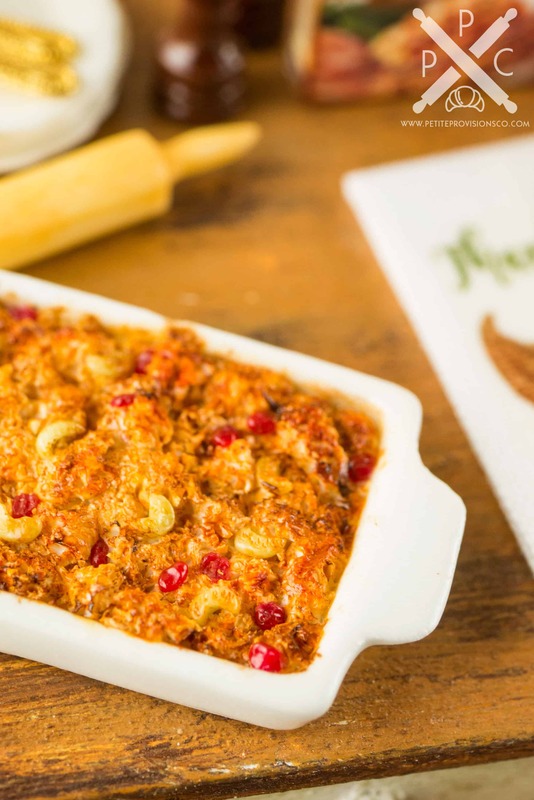 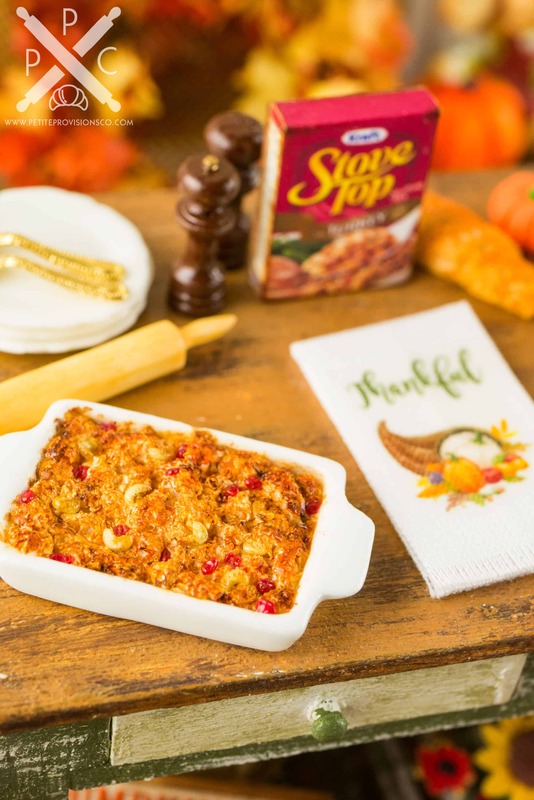 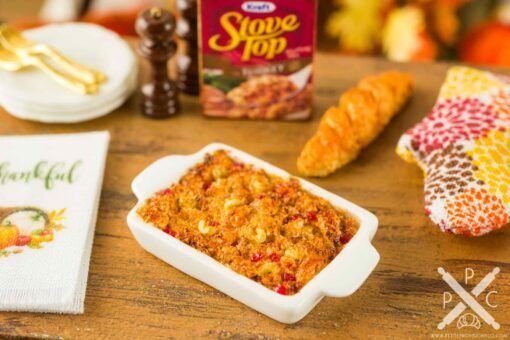 This casserole of bread stuffing features dried cranberries and celery. 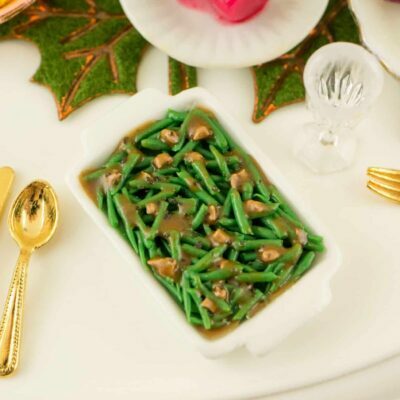 Whether you have a dollhouse or just love all things tiny, this delightful holiday dish is too cute to resist! Handsculpted stuffing casserole with cranberries and celery in a white ceramic dish. 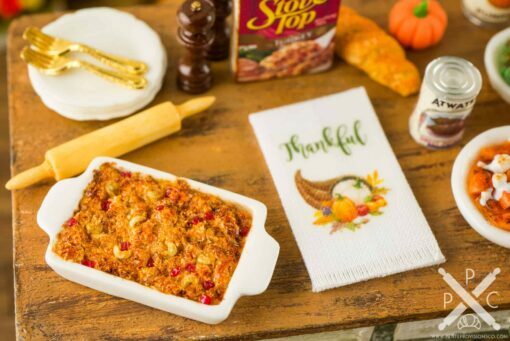 The casserole measures about 1-1/4″ long (from handle to handle) and 3/4″ wide.